What Are the Best Wineries, Distilleries & Breweries in Branson, MO? The city of Branson may be best known for country music, but there are plenty of other ways to pass the time here. If you are coming to Branson for the first time, you may be surprised at just how cosmopolitan and exciting the region can be. If you are already a Branson fan, you already know that the area boasts far more than the best in live theater and country music. Chief among the charm of Branson are its many wineries, distilleries, and breweries. Whether you fancy a microbrew beer, a handcrafted whiskey, or an exceptional glass of wine, you can find it all here. No matter what your tastes, indulge them with some adult beverages, all within sight of the neon lights and bustling nightlife that have made Branson so famous. In some ways, identifying the best wineries, breweries, and distilleries in the Branson area is an academic exercise. Everyone has their tastes and preferences, and which sites you choose to visit will depend on what you are looking for. Here, in no particular order, are our choices for the best wineries, distilleries, and breweries in and around the Branson area. If you are a history fan as well as a wine lover, you will want to start your exploration at the Saint James Winery and restaurant. This exceptional winery looks like something out of medieval fantasy, with its life-sized chessboard, the cozy fire pit, and its stunning waterfall. Saint James Winery and Restaurant is also the first winery and restaurant to open in the Branson area, giving it a unique place in the history of the region. Located in the Meramec Highlands region, Saint James is a delight. When you visit, enjoy complimentary wine tastings, as well as tastings of handcrafted hard cider and selected beers. For the designated driver and nondrinkers in your party, there are also juice tastings. Saint James Winery and Restaurant is also home to live music and festivals throughout the year, so relax and unwind as you explore the grounds. Be sure to visit the famous Fermentation Campus, to learn about the art of winemaking and take home a few bottles. The campus is pet-friendly so that you can bring your four-legged friends along for the ride. The Public House Brewing Company is the restaurant end of the Saint James Winery. When you enjoy a delicious meal here, try a sampler consisting of six 4-ounce pours, featuring a mix of year-round and seasonal brews. The Public House is a full-service restaurant, with specialties like wood-fired pizzas and locally-sourced foods. There are also custom beer and food pairings so that you can enjoy your favorite brews and your favorite dishes all in the same place. Be sure to visit the RD Brewpub as well. This sister location to the Public House is located in nearby Rolla, MO, and it is not to be missed. If you wish to enjoy the beauty of nature and your favorite wines, just head to the Lindwedal Wine Garden. The setting is half the charm of this elegant local winery, with its large deck overlooking the stunning Ozark Mountains. Lindwedal Wine Garden is located in the Table Rock Lake area in the city of Branson, and it features wine tastings and sales. Feel free to take home a bottle or two, along with fun gifts like bottle stoppers, spouts, tees, and glasses. Visitors can also enjoy live music and festivals throughout the year, as well as exceptional local food like sausage and cheese trays, crackers and those stunning candied jalapeno peppers. Be sure to order a bread basket as well, featuring an appetizing Focaccia loaf with dipping spices and some excellent tasting local olive oils. Curling Vine Winery is another local favorite, and an excellent choice for both first-time visitors and repeat tourists. Visitors can enjoy wine tastings, with juice options for non-drinkers, and designated drivers. 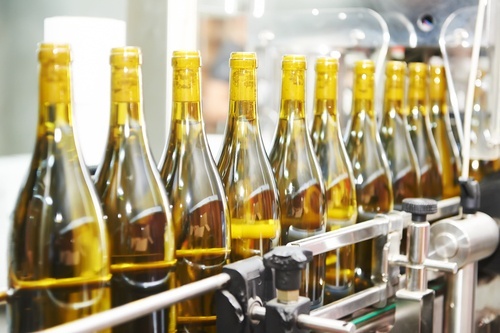 Visitors can also attend bottling demonstrations, to see how those wines end up on the shelf. Be sure to make time for a tour, including a fascinating old still display. Curling Vine Winery is located a scant two blocks from the Branson main drag so that you can grab a glass and hoof it back to town. The Mount Pleasant Winery is always a local favorite, with lots of eye-catching things to see and engaging things to do. This local winery is perfect for visiting families and large groups, and they are proud to offer group tours of their spectacular grounds. The Mount Pleasant Winery is also the perfect place to learn about the art and craft of winemaking. 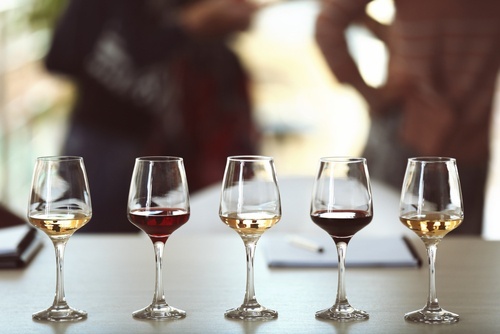 The winery offers its well-attended Wine 101 classes to all interested parties so you can learn about wine while tasting some of your favorite vintages. If you are looking for a great holiday gift or the perfect souvenir of your Branson getaway, be sure to ask about custom bottling. Mount Pleasant Winery allows visitors to bottle their own dessert wines, so they can choose the exact taste they want. Looking for something a bit more romantic? Ask about their private tastings. These wine tastings are perfect for everything from first dates to special anniversaries. If you do not have time to visit Mount Pleasant Winery, you can order your favorite bottles online. The winery does provide online shopping, but be sure to check their list of available ship-to states, as state laws vary throughout the country. Unlike some other wineries on our list, Mount Pleasant Winery does allow well-behaved children on the grounds. Keep the little ones entertained with the juice tastings, or take them on a tour of the grounds. You can even bring your four-legged friend —Mount Pleasant Winery is a dog-friendly establishment. Be sure Fluffy or Fido is on a leash and well-behaved. Mount Pleasant Winery is home to some of the best wines in the area, with many industry awards to their credit. These accolades include some gold medals at the World Wine Championships, so you can be sure the wines you are tasting are among the best around. The winery is open on Saturdays from January through February 7 and every day from February 8 through December 31. The grounds are open from 10 a.m. to 6 p.m. Sunday through Thursday and 10 a.m. to 7 p.m. Fridays and Saturdays. If you choose to visit Mount Pleasant or other area wineries, you will want to know a bit about wine tasting etiquette. 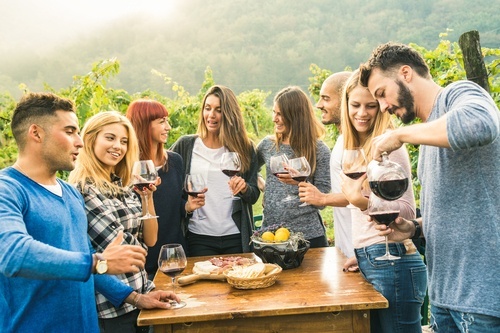 Wine tasting is all about fun, but following a few simple rules will make the experience more enjoyable for everyone in your group. 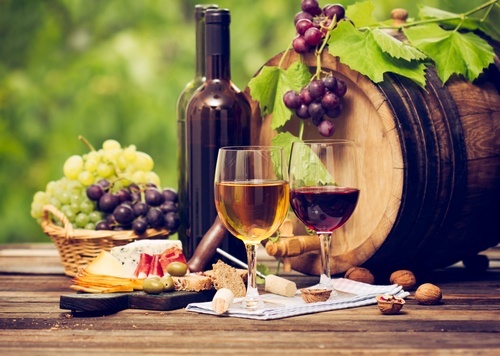 White wines will be tasted first, followed by reds and then dessert wines. Lighter-bodied wines are presented first within each category, followed by fuller-bodied options. Be sure to taste each wine carefully. Savor every sip - never chug or gulp the sample. Give each wine you try a chance. Wine tasting is all about respect. Ask the winery for a list of tasting notes. Read the tasting notes carefully as you sip. 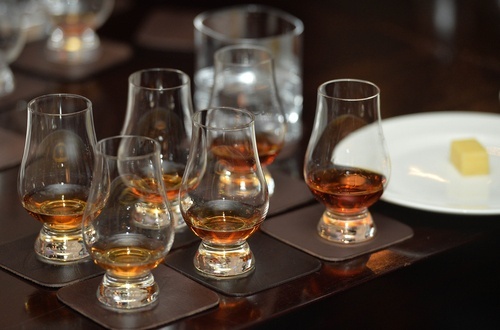 Try to pick out the flavors and aromas listed in the tasting notes. The more you practice, the more educated your palate will become. It is entirely okay to skip tasting list wines. Let your host know what kinds of wines you prefer - they will be happy to accommodate your tastes. Limit your tasting to two samples per vintage. 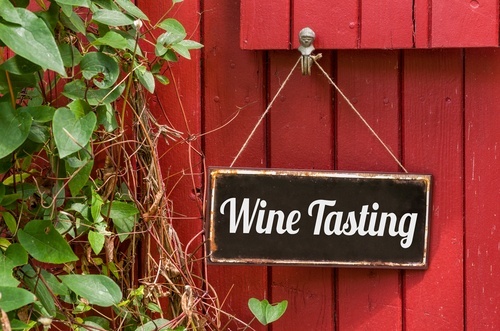 Wineries want their guests to try out a variety of vintages and varieties. You do not have to finish your glass. A wine tasting is all about sampling. Empty any unwanted wine into the dump bucket. Your host will show you where the dump bucket is located. Do not feel pressured to buy wine after the tasting. Winery owners want their guests to be happy with their selections, and they will not push you to take home a bottle. Feel free to buy as much, or as little, wine as you like. 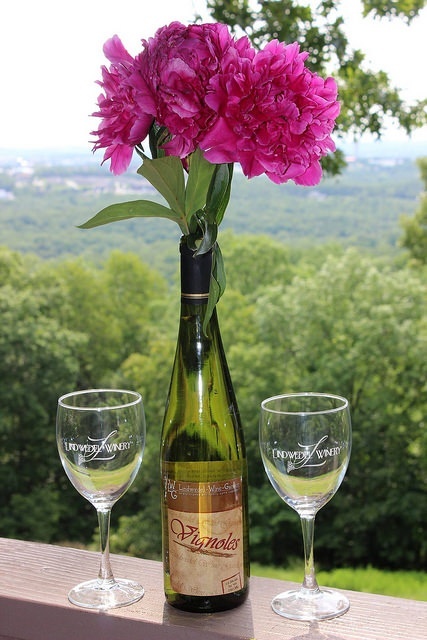 Attending a wine tasting is the perfect way to enjoy a day in Branson, Missouri. Whether you make your wine tasting an integral part of your day or just a stop on the way to dinner, observing a few simple points of etiquette will make the experience even more enjoyable. Bear Creek Winery is another Branson area favorite. Located in Walnut Shade, MO. 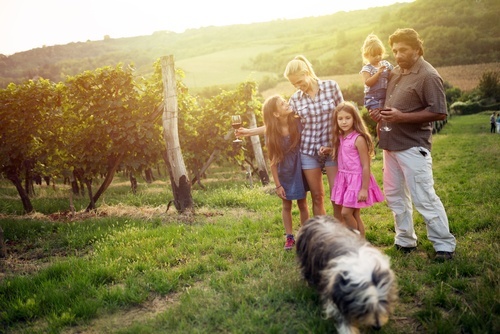 Bear Creek Winery is an easy drive from Branson, and you can schedule a day in the country for the whole family. 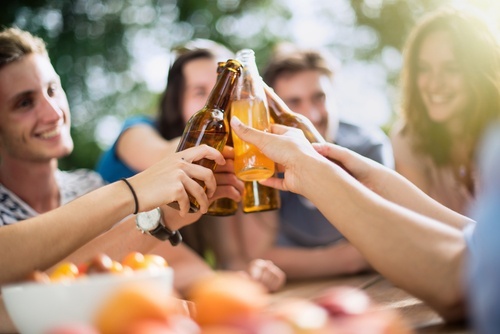 In addition to a brand new tasting room where you can enjoy some exceptional vintages, Bear Creek Winery also serves pizza, so you can enjoy a bite to eat with your favorite brew. Bear Creek is not just about wine - they also serve beer. The winery also offers some unique packages, including bachelorette parties and ladies' nights. If you choose to imbibe, you can even stay the night in one of their lodge or cabin rentals. Check out the unique distilleries in Branson! 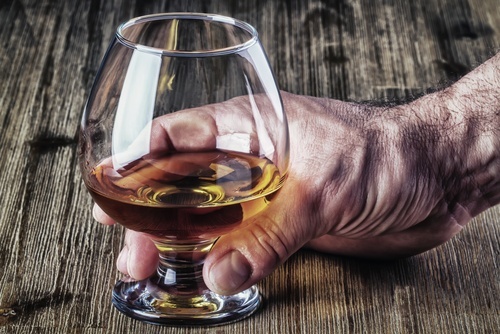 The Branson area is home to some of the best wineries in the area, but the region is also known for its handcrafted whiskeys. The Missouri Ridge Distillery is one of the most popular destinations for area whiskey lovers, and it is a favorite with visitors as well. A family-owned business, the Missouri Ridge Distillery features some of the best spirits in the region, including gold medal award winning ultra-premium small batch bourbon, single-malt whiskeys and the exceptional Howlin' Hounds Moonshine. The Missouri Ridge Distillery also features impressive food, as well as custom whiskey and food pairings. Be sure to come hungry — the menu is as varied as the spirits. At Missouri Ridge, it is the water that makes the difference - the limestone bedrock creates some genuinely excellent water, and that water serves as the base for all their handcrafted whiskeys and bourbons. Crown Valley Distillery is another area favorite, with exceptional vintages, award-winning whiskeys and a chance to learn about the fine art of brewing. This favorite Branson area distillery offers tastings of its handcrafted creations, along with samples of its delicious food menu. Complimentary tours are offered Thursday through Sunday at 3:00 PM with the purchase of a tasting. If you are feeling a bit hungry and thirsty after your official tasting, just head over to the bistro or on-site soda shop. Enjoy the free soda tasting station then order one of eight exciting flavors including root beer, black cherry soda and more. From quick snacks to delicious meals, Crown Valley Distillery has something for every taste. The Branson area has a proud tradition of home brewing, dating back to the days of prohibition when the practice was less than legal. These days handcrafted whiskeys are perfectly legal, but the moonshine tradition lives on at Smith Creek Moonshine. Smith Creek Moonshine gives homage to the past, but it also points the way to a great future. 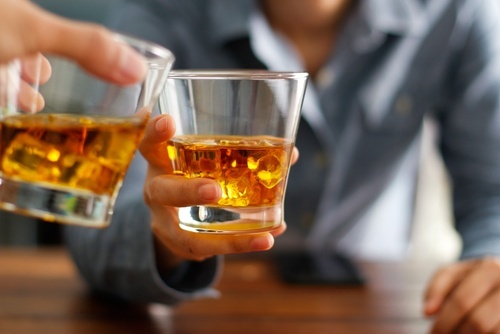 This famous Branson area distillery includes a dedicated tasting area, so visitors can try out their favorites and indulge their taste for handcrafted whiskey. If you are feeling hungry, be sure to check out the hamburger restaurant at Branson Landing, and make time to shop and pick out your favorites for the folks back home. Copper Run Distillery is another area favorite and an excellent choice for a fun tasting or exciting evening on the town. Copper Run is an award-winning distillery, with many medals to its credit. Those medals include the coveted Gold Award for Best in Category, one of the top accolades in the industry. Copper Run Distillery has the distinction of being the first legal distillery in the Ozark Mountains, with a long history of success and exceptional beverages. When you visit, you can enjoy tastings of their best creations, as well as educational opportunities where you can learn about the fine art of their production. The distillery offers tours of its operations, as well as samples for visitors. Tours take place at 12:00 noon, 2:00 p.m. and 4:00 p.m., so make your plans accordingly. If you are ready to enjoy your favorite Branson area creations, be sure to check out Branson's unique Dial-a-Bottle service. This exceptional service offers one-hour home delivery of wine, liquor, champagne, spirits, liqueurs, beer, and cigarettes including many Branson area favorites. They'll even return your empties! If the plans for your upcoming trip to Branson, Missouri include a few adult beverages, you are in luck. The Branson area is more than just bright lights and endless country music - the region is home to some of the best local wineries, breweries, and distilleries in the country. Whether you are looking for robust red wine, a crisp, clear white wine, stunning dessert wine or a custom bottle all your own, you can indulge your tastes at one of the many Branson area wineries. 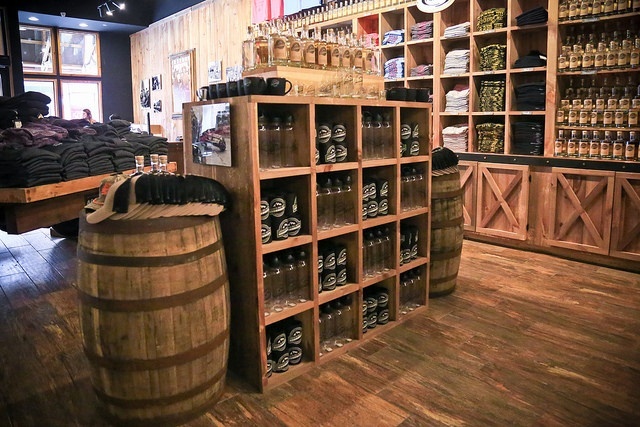 And if you want to relive the days of prohibition and taste some authentic Ozark Mountain moonshine, just check out one of the many fine area distilleries. Be sure to leave plenty of room in your suitcase or carry-on bag - you will surely want to bring a few bottles home when you finish your tours and tastings. Best of Branson: Theme Parks and Fun for the Whole Family!